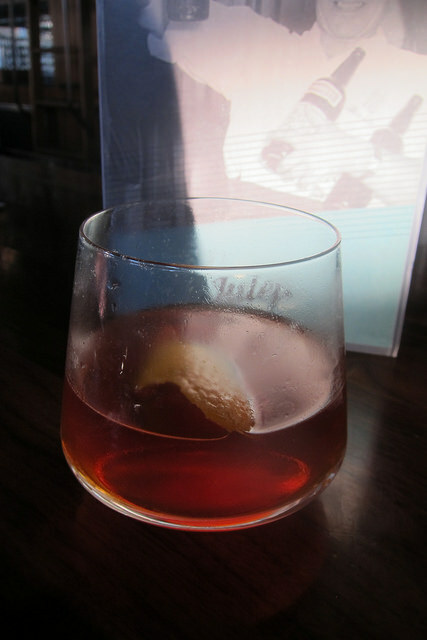 After wandering around the Westport Art Fair, we stopped into Julep for a drink or two. 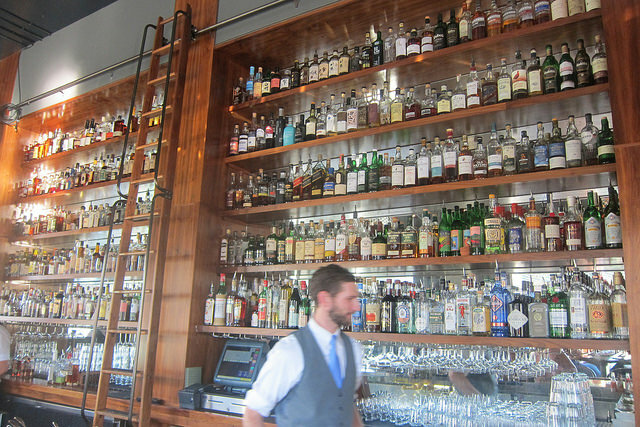 After tooling around the Westport Art Fair, we stopped into Julep in Kansas City. I looked over a fine menu of drinks and bar snacks and picked out a couple of things. But like all bars where I get comfortable, I tend to pick the bartender’s brain. Our bartender wasn’t working on anything particular but said he’d make me anything I wanted. There were four juleps on the menu but I decided to ask him if he’s ever had a Cynar Julep, one of my favorite drinks in LA from Dave Kupchinsky who is affectionately known as Ol’ Man Winter (now found at Fiscal Agent in the Valley). He hadn’t of course but was intrigued. 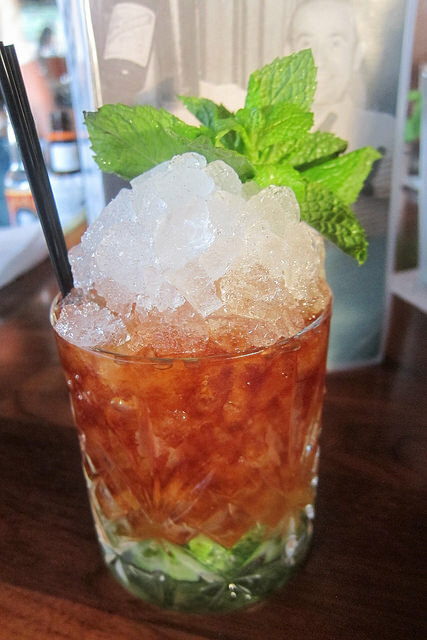 I said it’s just like a regular julep except to use Cynar and grapefruit. The drink was a tiny bit sweeter than what I would like but it was still pretty glorious. 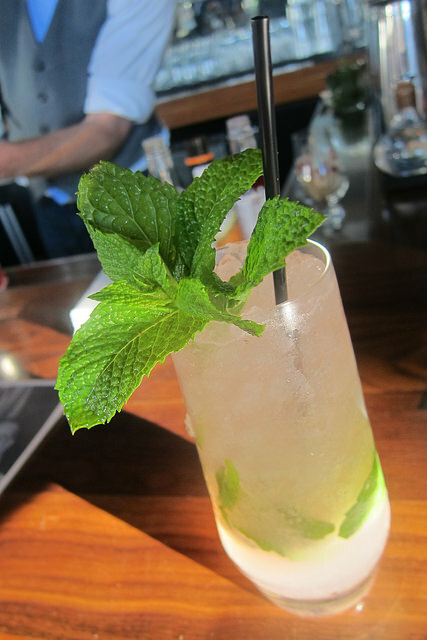 My friend ordered the Kiowa Cooler which was very refreshing on the hot late summer day. 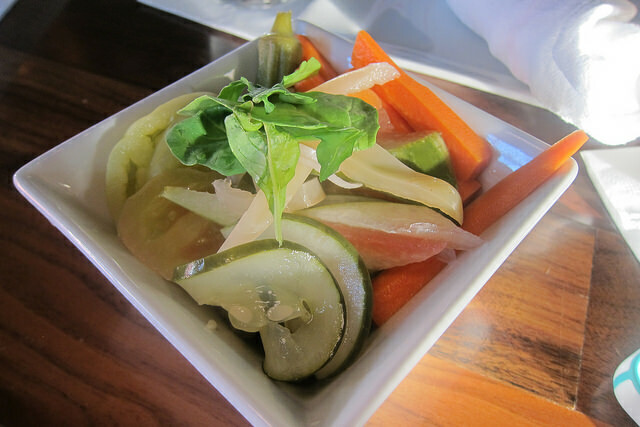 I couldn’t resist a little bar snack and the pickled veggies sounded great. It came with pickles, green tomatoes, watermelon rind, carrots and okra. I was pretty into the okra but I’m always into okra. If you want the best old fashioned whiskey cocktail in KCMO, order the Great Awakening. It’s really very cool Julep has their own barrel of bourbon they picked out. Simply made with a rich sugar and Angostura bitters, this is what a good cocktail is all about- quality ingredients, a pretty bar and friends to chat with.